Mansfield, 3 @ Bridgewater-Raynham, 2 – Final – Mansfield scored a pair of goals in the final minute to pull out a remarkable comeback. After a 1-1 first period, the Trojans dominated the second period to take a 2-1 lead. With the goalie pulled, freshman James Bezeau scored with 39 seconds to play to tie the game, converting off assists from Cullen Anastasia and Matt Farragher. The Hornets then scored the game winner with 15 seconds left as Anastasia found the back of the net off a feed from Farragher. 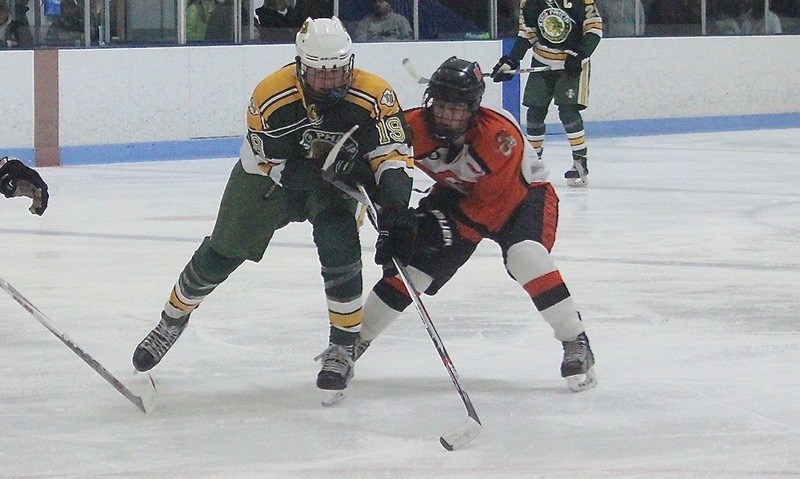 Senior Joe Olsen scored an unassisted first period goal for Mansfield. Senior Brendan McKenna made 26 saves in the first two periods while freshman Sean McCafferty made 10 saves in the third period. This was an exclusion game for Mansfield.